Hey All the fans of www.ebaseseo.com is here informed that www.ebaseseo.com has completed 100 posts . Me Atishay Jain hereby announce that i have reached to 100 post of my blog. i hope you all marketers and SEO guys like my blog. 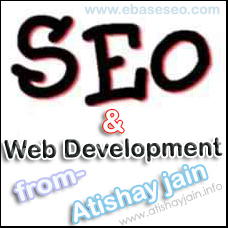 This blog for marketing Planning will bring many more new SEO updates and internet marketing tricks in the coming time.